Garden photography has its challenges, not the least of which is the light. Golden sunlight at dawn and dusk turns everything a rich, warm tone, which is lovely for some uses and not others. The diffused light of a moderately overcast day allows more accurate color depictions, but the shadows aren’t as interesting. And so it goes. I’ve learned to carry my camera out with me often throughout the day, then choose what suits me best from the day’s efforts. Like these, each interesting to me in its own way. 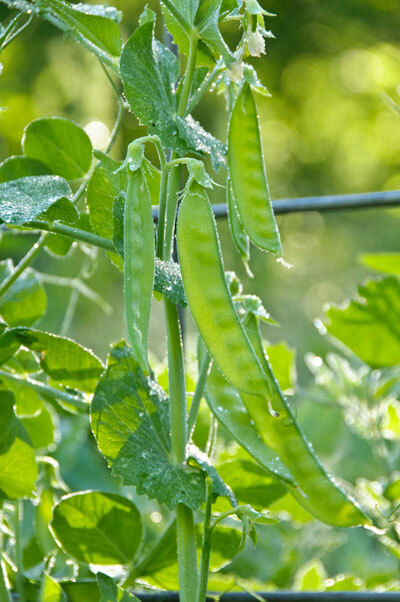 Above, Blizzard snow peas in the early morning light before the heavy dew has begun to evaporate. 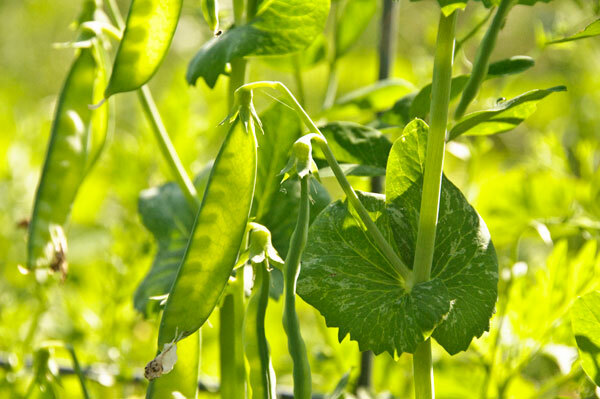 I love how the light caught in the thin skim of moisture to faintly outline each pea pod. The effect lasted only a few seconds as the sun rose one recent morning. Blizzard snow pea blossoms, mid-morning on as a cloud passed overhead. The colors are more true to life than those I shot later in the week. 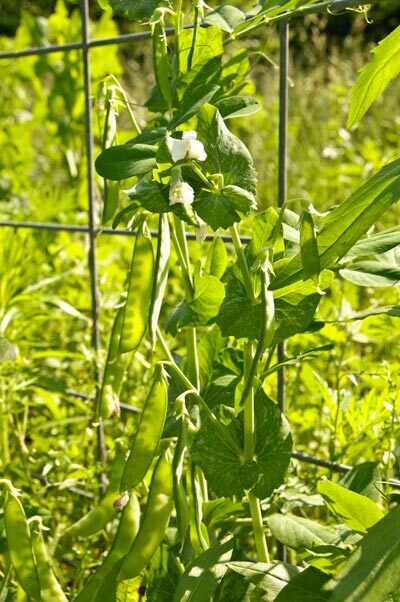 Blizzard snow peas, backlit by the rising sun on a clear, hot day. There’s a short span of time at dawn and dusk when the sun spreads a distinctly golden cast over the land. 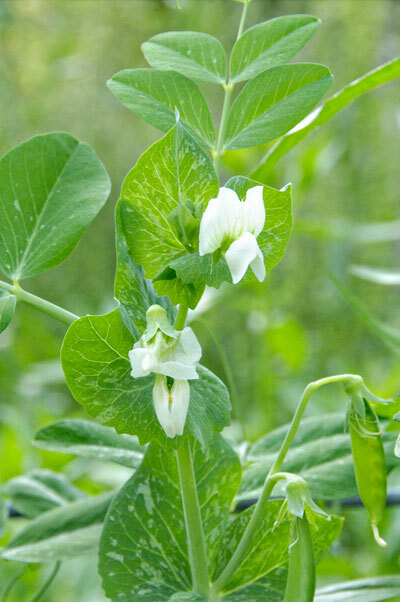 I love the warm, happy feel of photos taken then, but they’re not such good examples for my friend’s garden catalog, which is why I was shooting this sequence of Blizzard pea photos. Up close, on the same hot sunny morning. It looks tasty, doesn’t it, even in the overly yellow light. Trust me. It was very tasty. PreviousNot The Mama . . .
thanks for keeping me up to date on this subject.